Today, I thought we’d hi-light a couple of different ways you should be using dsIDXpress to display MLS content on your website. 1. Write a quick market update for a particular neighborhood. Is there a new condo development in a specific neighborhood that you can talk about? Or what if, each week, you featured a new neighborhood. You can talk about things to do, places to eat, etc. Then, close with a list of all of the latest listings in that area between a certain price range by using the dsIDXpress shortcode to display the MLS content on your domain. 2. Do a write up about a school/district and use the dsIDXpress shortcode to display homes in that district. Parents want the best for their children. If that means purchasing a home in an area that has one of the best school districts, they’ll do it. For some families, their criteria for buying a home is first, the number of bedrooms, then the schools/district, and then price. In other words, schools influence their purchasing decision. So in this case, you might create a landing page to hi-light schools, or write a post to talk about schools in a specific area/district. Then, simply use the dsIDXpress shortcode to display listings in that particular district. 3. Create a “Communities” page with drop-downs/links to the various communities in your coverage area. Each community contains a few paragraphs of introductory text then, shortcode to display listing data in that community. Include 2-3 paragraphs of introductory text. Include a photo of the area. Use the dsIDXpress shortcode to display MLS listings for that area on your page. 4. Create a “Real Estate Listings” page. 5. Write about a new listing. This is one of the easiest, most efficient ways of using dsIDXpress to generate new content quickly. Any time you get a new listing, or have an upcoming Open House, blog about it. You can choose to display some or all of the data for that particular listing. Write a paragraph about the listing – what makes it unique, when is the Open House, etc. Use the shortcode to add a single property listing. 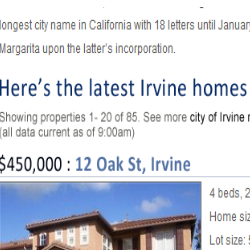 How else are you using dsIDXpress to display MLS listings on your posts and pages? I don’t think people always get how great dsIDXpress is for getting search engines to crawl all over your site!! Great tips. Going to get a couple of these done ASAP! Agreed! With a little bit of added effort, dsIDXpress does a pretty remarkable job of getting a site indexed…quickly. What exactly is meant by short code to display IDX content?